All Aboard the Snowball Express! Former lieutenant Dan from Forrest Gump actor, Gary Sinise, has dedicated much of his life to America's veterans. 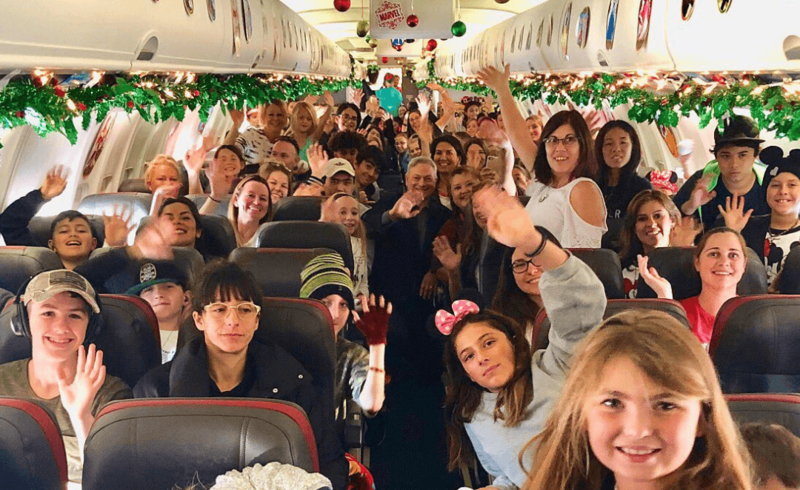 This Christmas, he sent almost 2,000 children of Gold Star families on a trip to Disney World. This was all part of the Gary Sinise Foundation Snowball Express program. Their website explains, “We’re serving the children of fallen military heroes. We are committed to maintaining the wonderful traditions while finding new and exciting ways to serve our families of the fallen." Sinise and his foundation are committed to serving families of veterans. Sinise has been devoted to vets for nearly 40 years, since he began programs for Vietnam Vets, Disabled Americans, and other programs for those who had served our country. "According to the Gary Sinise Foundation, they have served over 160,000 meals to veterans around the country and adapted 70 “smart homes” for severely wounded veterans. Sinise serves as the national spokesperson for the American Veterans Disabled for Life Memorial." This Christmas, 2,000 children can now enjoy the happiest place on earth, all thanks to Sinise.